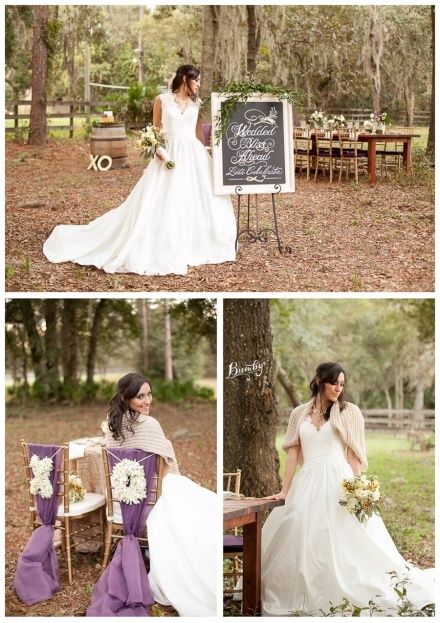 Rustic Glam Wedding Inspiration - A Chair Affair, Inc.
With average temperatures in the 90s, it’s tough to imagine fall weather coming up in Florida. 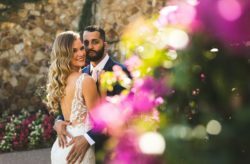 If you’re having trouble getting into the autumnal spirit, soak in this rustic glam wedding inspiration photo shoot we took part in with Bumby Photography and many other great event professionals. 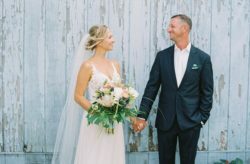 It was set at a warm, comfortable private ranch and featured lots of beautiful fall décor and details. 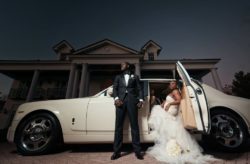 Every Last Detail featured the shoot on their website, which you can check out here. 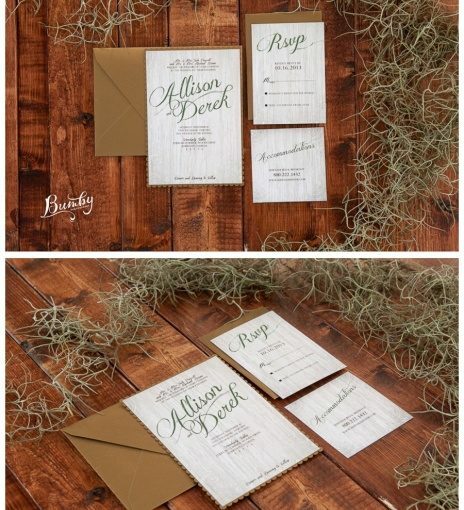 The invitations created by LA Lovely Ink feature a wood grain design in the background and green text, invoking a woodsy feeling to get guests in the fall spirit! 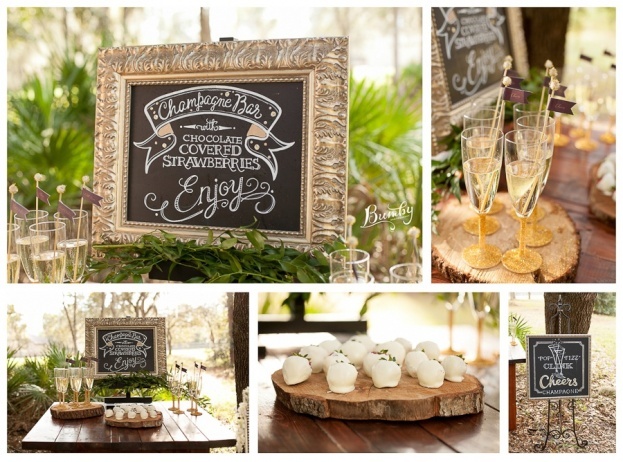 The ornate chalk board, designed by the talented folks at Chalk Shop, welcomes guests to the wedding. 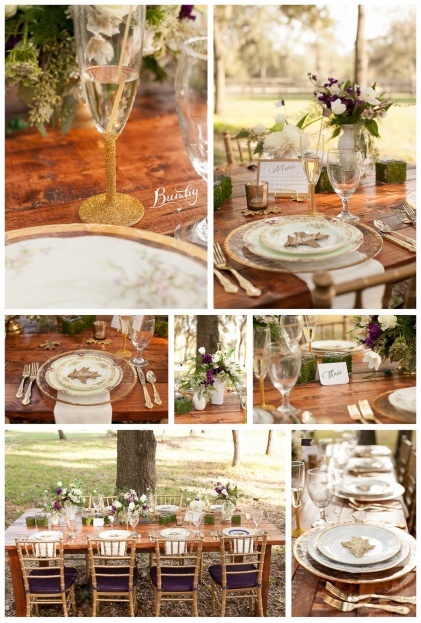 We supplied our rustic farm tables and natural wood chiavari chairs, which perfectly matched the wooded setting. 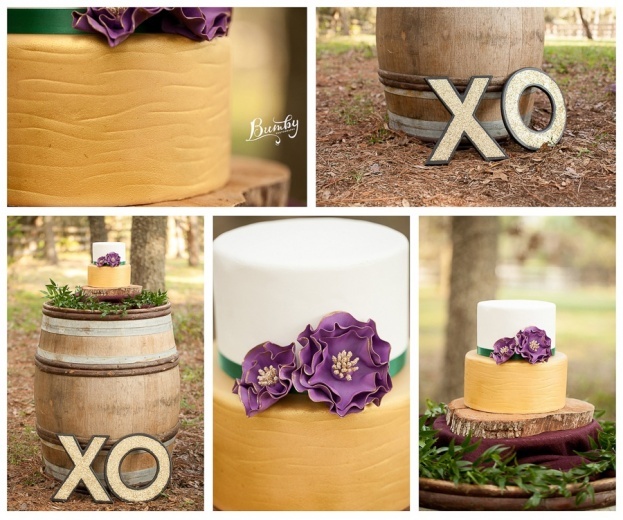 The cake created by Everything Cake contained vivid purple accents and was presented on a platter made from a tree trunk. 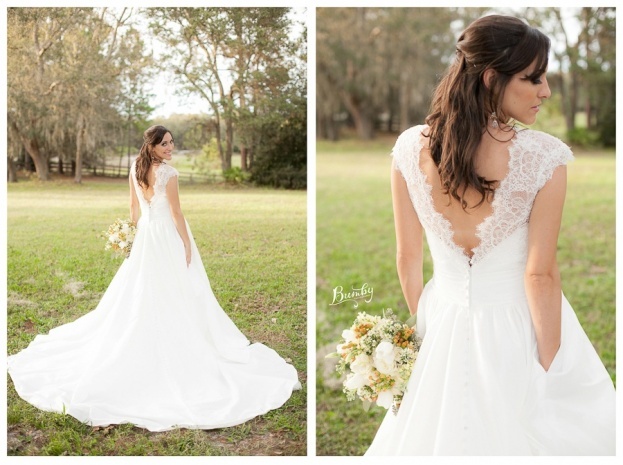 Chocolate covered strawberries and champagne added a touch of elegance to the shoot, while the bride’s dress from LA Bridal featured a flowing form and attractive V-neck cut. The drink stirrers were topped off with small purple flags, matching the cake’s flowers and linens. The purple linens added a nice accent to our natural wooden chairs, which were also draped in floral Xs and Os for a nice romantic touch. The shoot concluded with a fun shot of the bride showing off the cowboy boots beneath her dress! 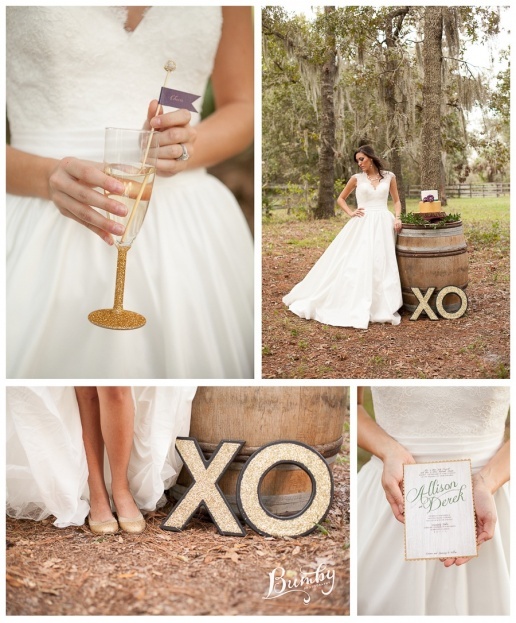 It was a perfect way to top off a rustic glam wedding. Even the horse looks impressed!